Where Are My Vintage Cookbook Fans? 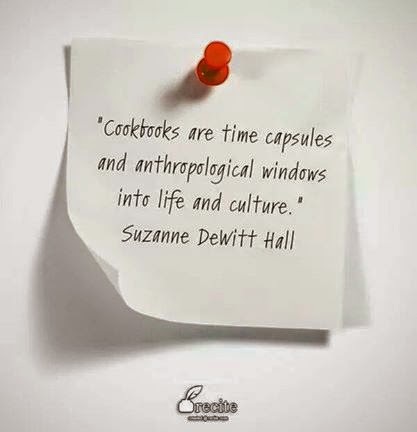 I found this nifty quote on a Facebook Page called Cookbook Love. 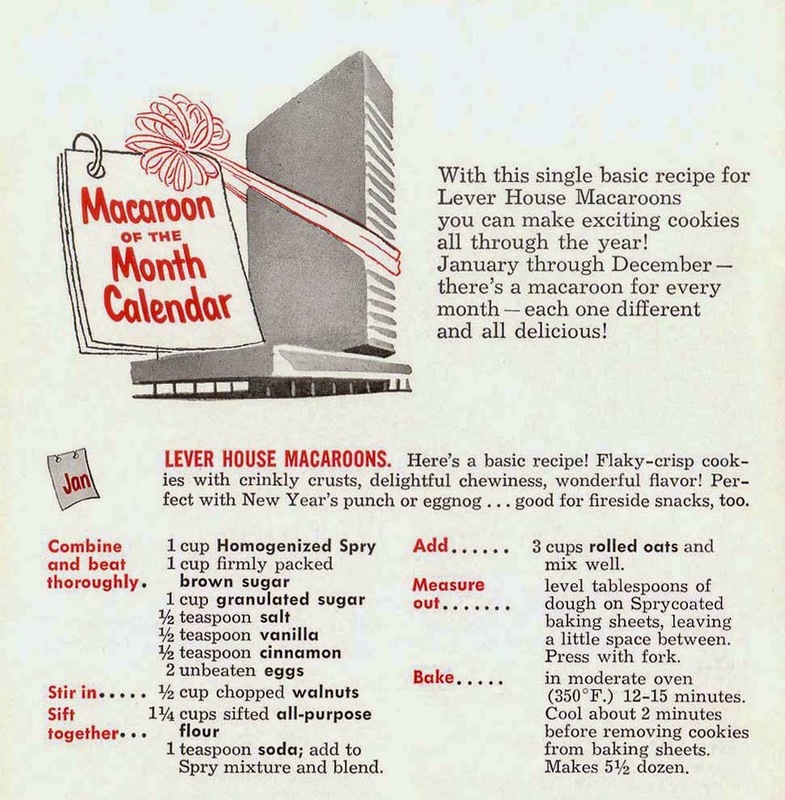 If you love -- or even hate lol -- vintage cookbooks, you should follow the Page. And the blog too. From that Page, I found another cool Page, Vintage Recipe Cards, which also has a website. Worthy of following and reading as well. I wrote about this a bit at my personal blog before and it's why I've amassed quite a collection! 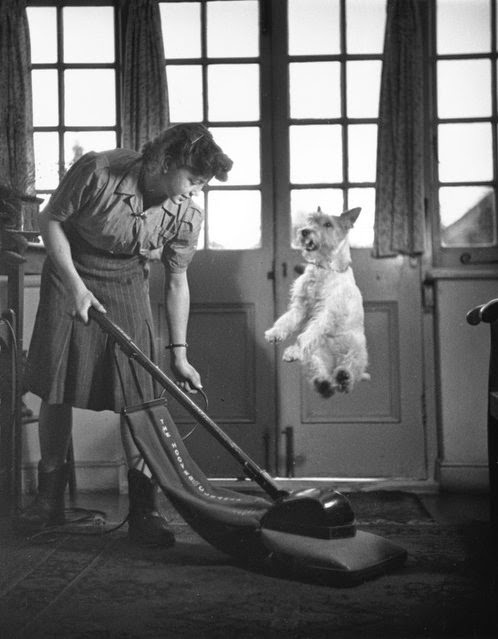 I do share some of the practical things, including recipes, here at Things Your Grandmother Knew; but my main interest is in the cultural stuff. Anyone else collect cookbooks? If so, for the recipes or the culture? Comment here or on my Facebook Page. I really do want to hear from you! Thanks! 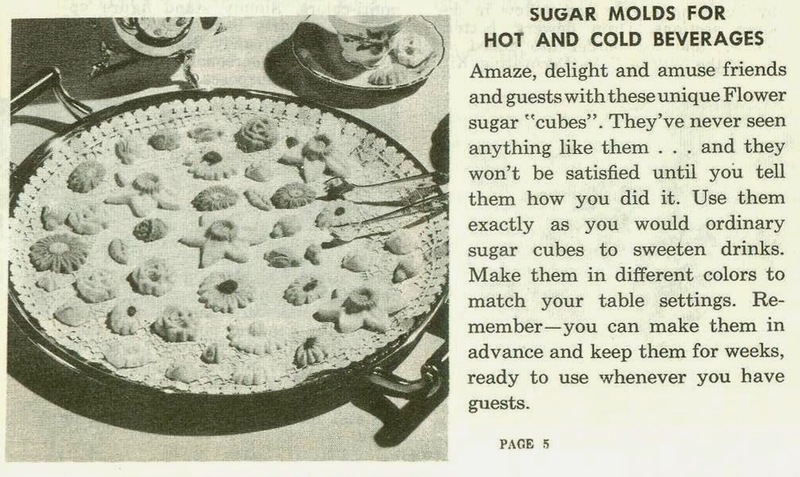 From a 1956 Wilton's molds booklet, details on using candy molds to make fancy sugars for hot and cold beverages. This would be great for teas, wedding & bridal showers, and other fancy events. "Remember," it says, "you can make them in advance and keep them for weeks, ready to use whenever you have guests." Sugar Mix is easily prepared by mixing 3 teaspoons of slightly beaten egg white to two cups of sugar and adding color to suit. Details of how to use the mix in the molds, including swift drying, are below. 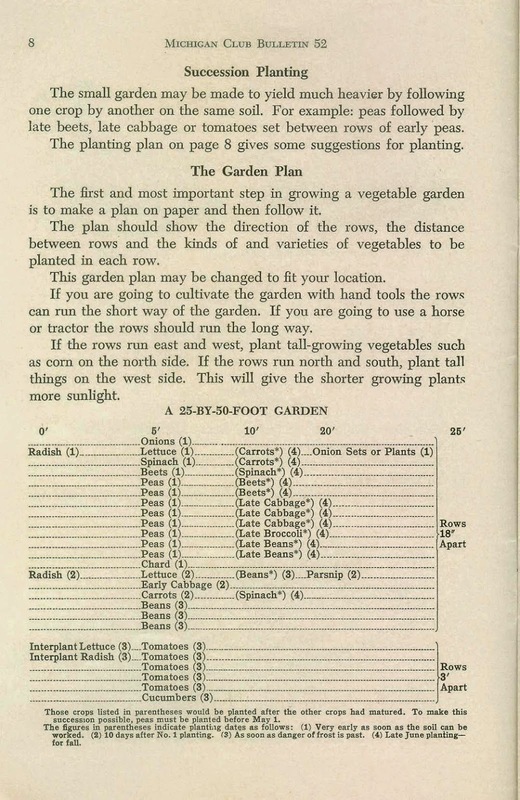 From a vintage 4-H vegetable gardening booklet comes this handy little chart on succession planting. While the veggie varieties are suitable to northern climates (specifically Michigan, where it was published) there are sound ideas for the beginning gardener. 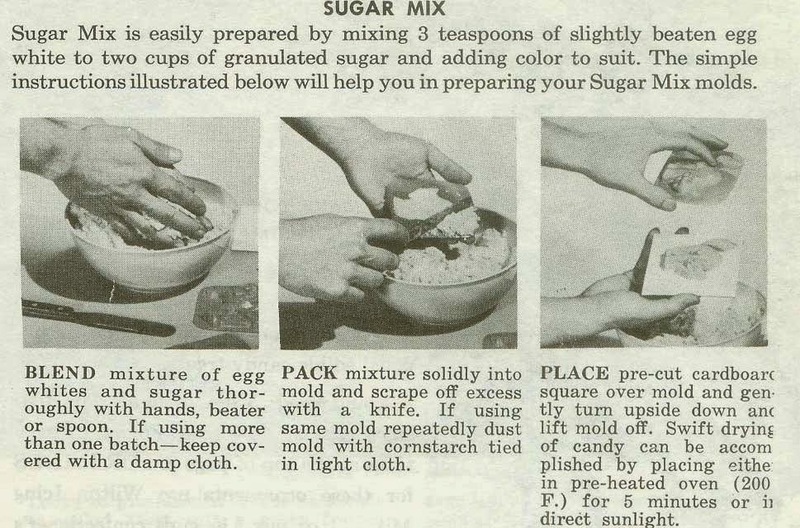 If you're packing cookies to send to those in the military or folks a bit closer to home, there are some great tips in Cookies Galore (from Frances Barton, Consumer Service Department, General Foods Corporation, copyright 1956). While many of these are pretty basic, I found the part about the best cookies to ship helpful. As I said at my other blog, I've been collecting cookbooks and cook booklets primarily for the little cultural asides. 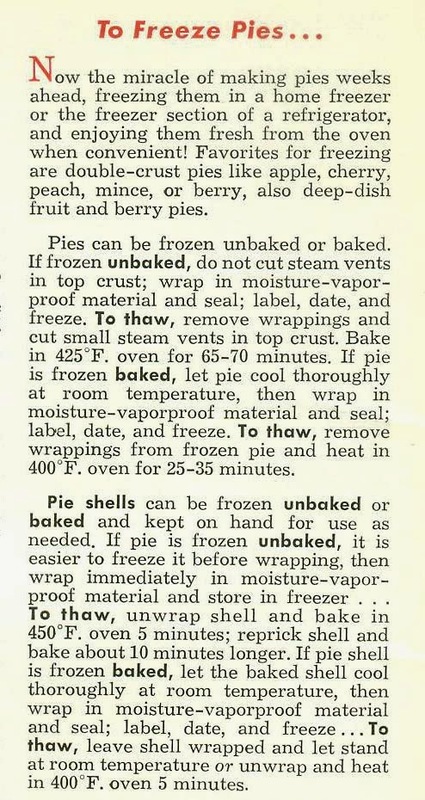 One of these examples is 1952's Aunt Jenny's 12 Pies Husbands Like Best Recipe Book, a promotional cook booklet featuring Lever Brothers Spry "Homogenized" pure vegetable shortening). Naturally, the title was reminiscent of the 1950s "little woman cooking for Daddy" phenom, much like the premise of The Way To His Heart. While equal parts amusing and frustrating, the vintage booklet also provides recipes and facts. The facts that currently catch my fancy revel in the "miracle" of freezing pies. Tips include when to cut steam vents in crusts and thawing pie shells in an oven (as this is before microwave ovens). 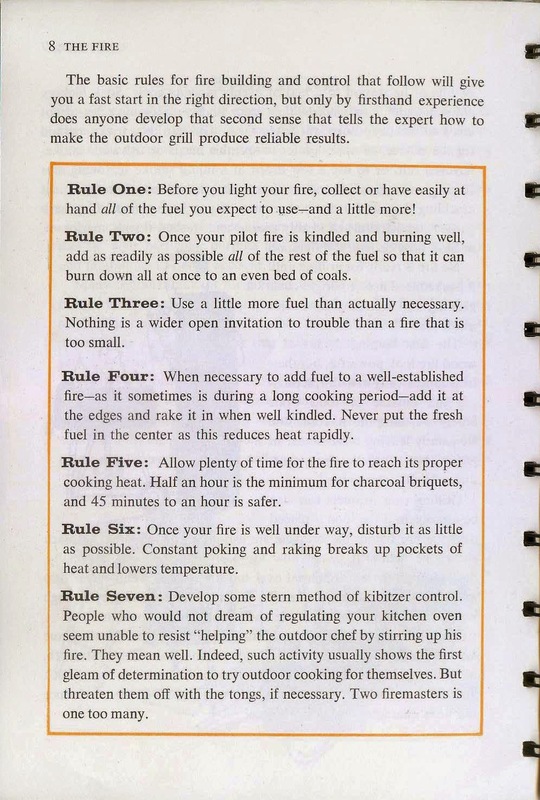 From Betty Crocker's Outdoor Cook Book (1961), basic rules for fire building on the grill.